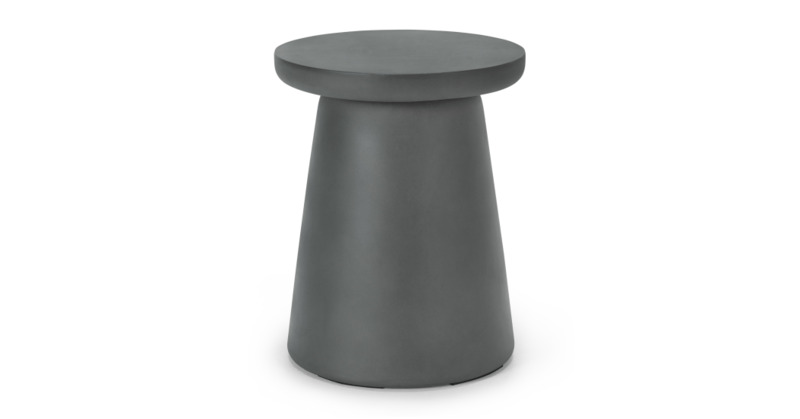 In textured dark grey, with a curvy silhouette, this concrete, round stool is durable and different. It'll look great with the matchng Maho bench when you're entertaining. Level up your socialising options – stools make extra guests no problem, but are easy to remove and use as plant stands when dinner's more intimate. Combine with the matching dining table.